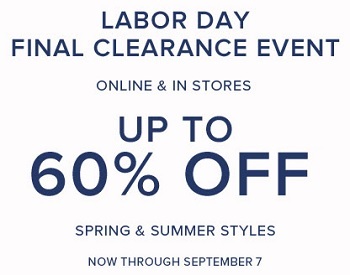 Enjoy Labor Day Final Clearance Event at U.S. Brooks Brothers Stores. Possible to save up to 60% off retail prices. Spring & Summer styles included. Offer ends 09/07/2015. Source of the information is Brooks Brothers. More information available at stores.